A stacker reclaimer weighing in at 1150 tonnes will be unloaded from a ship at Port of Mackay over the next two weeks, bound for Hay Point Coal Terminal. The MV Happy Dover (pictured) arrived in Mackay at the weekend carrying the first of two replacement stacker reclaimers for the BHP Billiton Mitsubishi Alliance (BMA) operations at Hay Point. 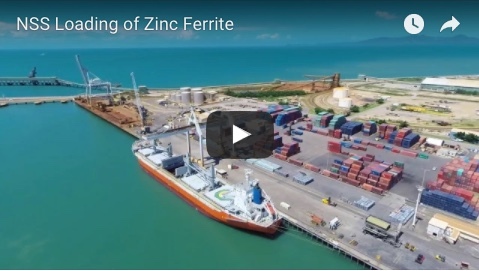 North Queensland Bulk Ports Corporation (NQBP) chief executive officer Steve Lewis said the Port of Mackay was ideally placed and equipped to handle break bulk trade. 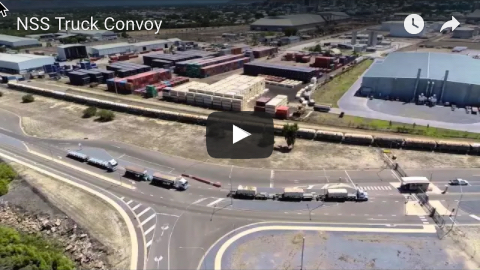 "From Mackay, the equipment will be barged down to NQBP’s Half Tide Tug Harbour, from where it will be transported in pieces through the public car park and then along NQBP’s specifically designed haul road and then on to BMA’s Hay Point Coal Terminal operations," he said. Major elements of the stacker reclaimer will be barged in eight separate movements due to the size of the pieces of machinery involved, with the heaviest component weighing 267,000kg and the longest stretching to 65m. Smaller pieces such as buckets and structural elements will be either stored at Mackay on laydown spaces or trucked directly to the coal terminal. “NQBP considers break bulk cargo to be an expanding trade opportunity for the Port of Mackay,” Mr Lewis said.